Get involved in the Diocesan Respect Life Project! 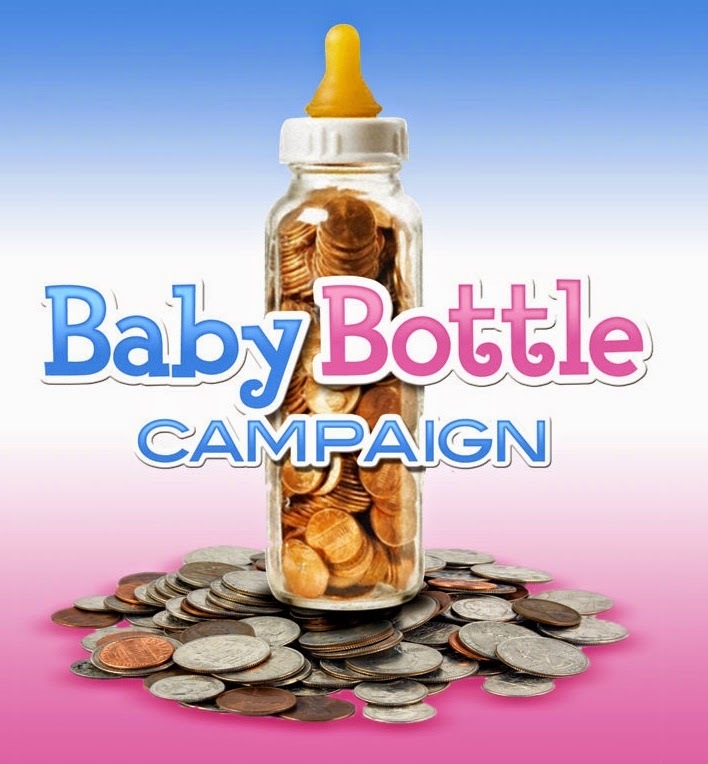 The Baby Bottle Campaign is sponsored by the Diocese of Winona and the Catholic Charities' Pregnancy, Parenting, and Adoption Program. Money is Collected during the month of October and sent to Catholic Charities by November 15th. The purpose is two-fold: all the money collected is used to assist women in the Diocese of Winona to choose parenting or adoption rather than abortion; also, the campaign is raising awareness in parishes concerning the day-to-day efforts which Catholic Charities has been engaged in on behalf of women. The Baby Bottle Campaign proves to be a perfect project for a chance to offer a real response to women choosing life over abortion. Contact Jodi Olson by August 29th at Catholic Charities (507) 454-2270 ex. 228 or jolson@ccwinona.org to let her know that you would like to be involved! Please have an idea of how many bottles yo would like.